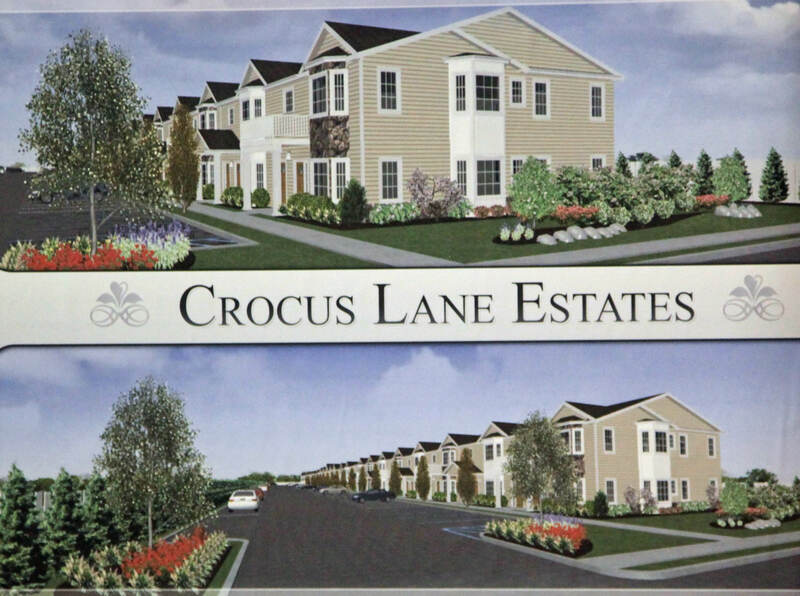 On Wednesday, October 3, 2012, Crocus Lane Estates, LLC and Josato, Inc will be petitioning the Hempstead Town Board to rezone the Levittown property on the former location of the Long Island Motor Parkway and Vanderbilt Cup Race grandstand and press box. This meeting was postponed from the September 4, 2012 date. The public meeting will be held at the Hempstead Town Hall, 1 Washington Street beginning at 10:30 AM. The Hempstead Town Board resolution concerning the petition from Crocus Lane estates and Josato, Inc. 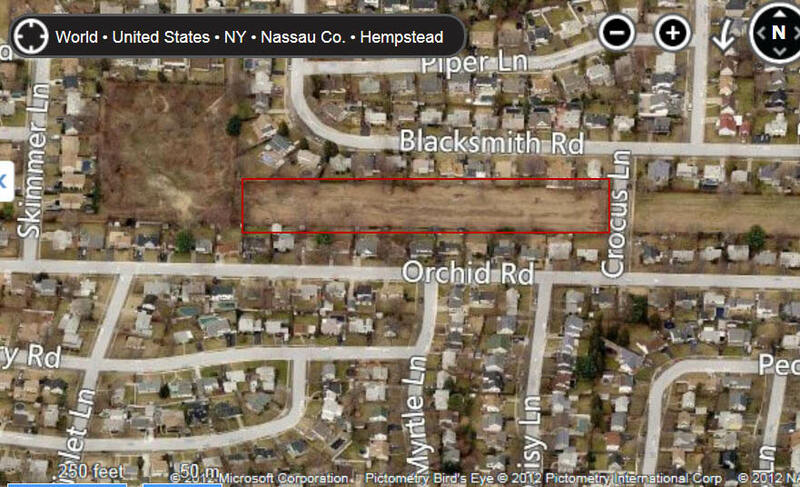 The rezoning petition requests that the Hempstead Town Board allow a 50-unit condo complex to be built in the middle of a residential community. This 2012 Bing Map shows the area that will be the subject of the September 4th meeting. As seen in this 1993 Levittown sign, the effort to preserve this area has been ongoing for over 18 years. A 1928 Motor Parkway Atlas showing the location of the grandstand. A 1910 view looking east to the Jerusalem Avenue Motor Parkway. A 1908 view looking west. 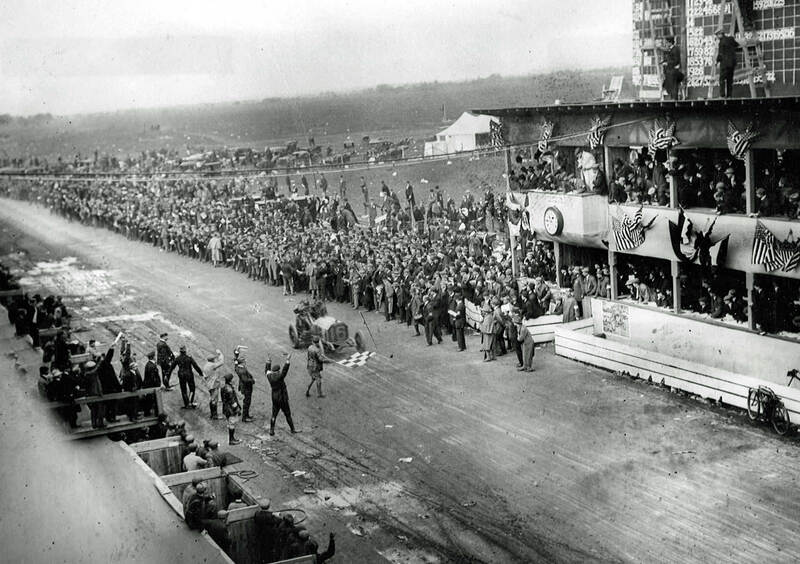 Over 15,000 spectators watched the race in this area. 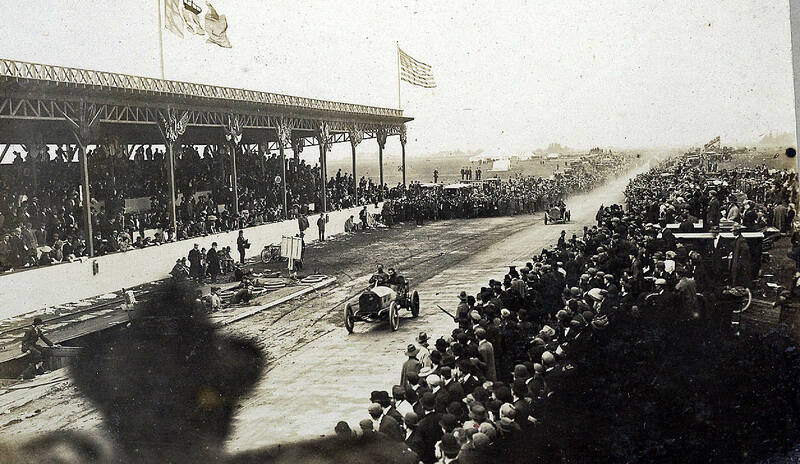 This historic photo show George Robertson driving "Old 16" Locomobile to victory in the 1908 Vanderbilt Cup race. It was the first American car to win a Vanderbilt Cup Race. 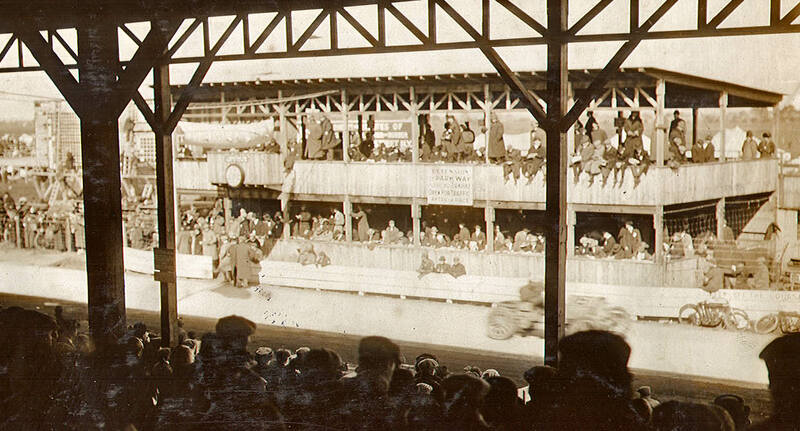 A unique view of the 1908 Vanderbilt Cup Race from the grandstand. The #18 Alco Black Beast winning the 1910 Vanderbilt Cup Race. First - Who owns the land now? Second - Does it have landmark status? Third - Why did it sit vacant so long? Fourth - When was the grandstand etc knocked down and was anything else on that site since it was a racetrack? 1. The property was purchased by a developer Josato, Inc for over 20 years ago. 2. The property has never been landmarked. 3. It has been vacant because under the current Hempstead zoning laws it was too small to build any houses.Josato will petitioning to rezone the property to allow a 50-unit condo complex. 4. 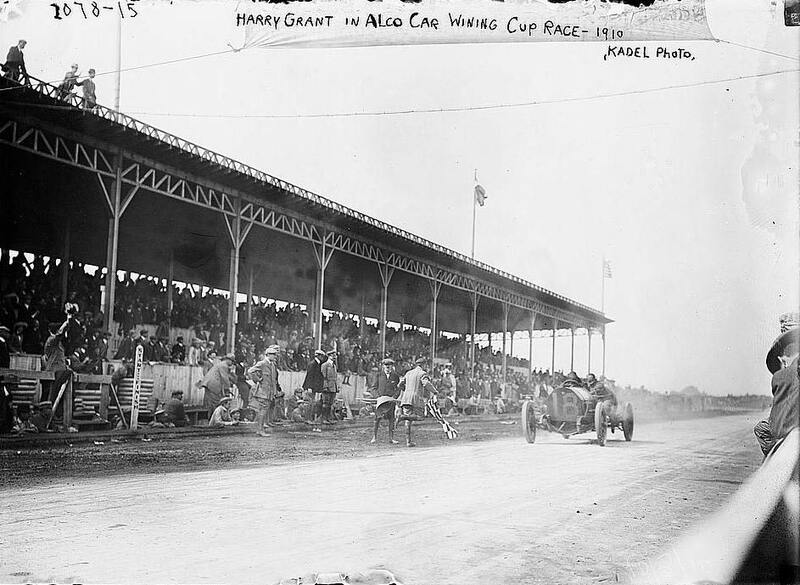 After the last Vanderbilt Cup Race was held in 1910, the grandstand and press box in the “Hempstead Plains” was taken down in 1912. “Why has preservation of this piece of American History with a park, celebrating the Long Island Motor Parkway, never been discussed? The historic site should not be compromised. 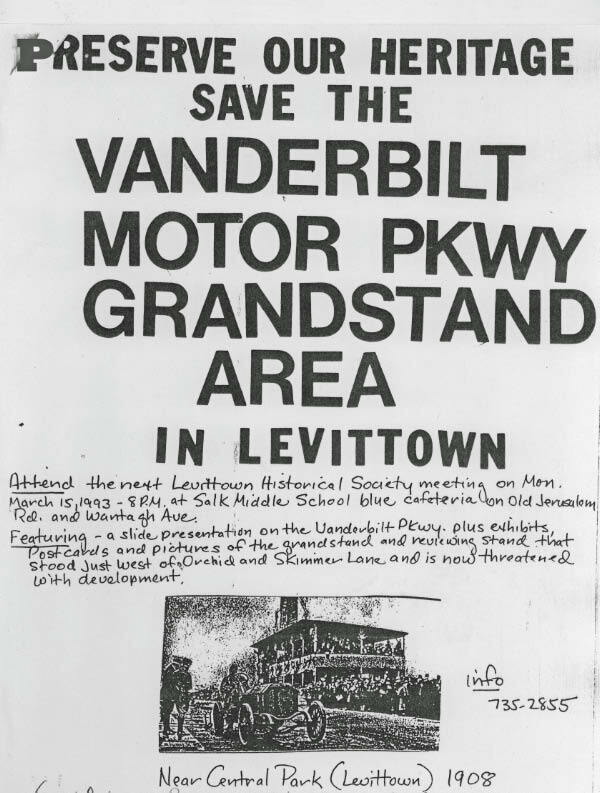 Open common green spaces in William Levitt’s original plan should be preserved. He had the foresight to build around this historic site, as well as other areas that all play an important role in feeding our water supply. Legally, while the owner is obligated to invite concerned residents to a “public hearing” to express their views regarding the development of the property, there’s nothing truly “public” about a Tuesday, 10:30 a.m. meeting: It’s like winning the lottery for the lot owner and their lawyers. A fair representation of public concern is inhibited by the meeting time and place. The concerned citizens who are affected by the proposal and would like to participate, may not be able to take time off to attend. Also, the location may be restrictive to the disabled and seniors in the area. 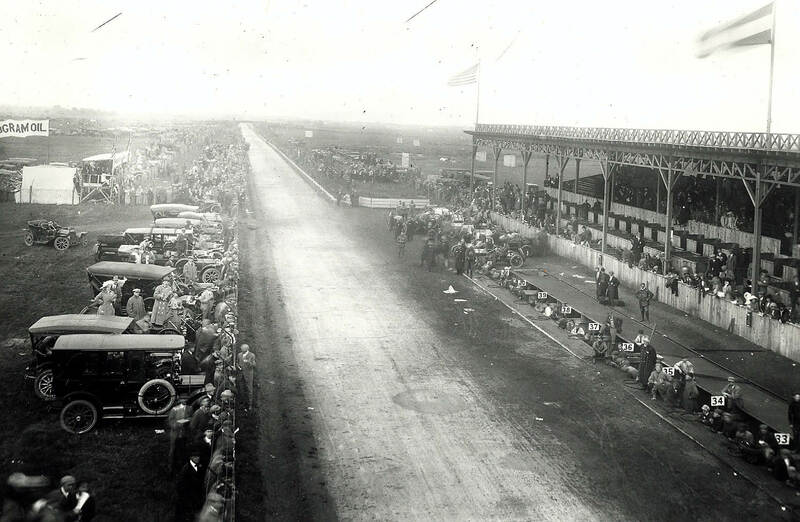 In my opinion, based on these criteria, the start/finish grandstand site of the first American victory in a major automobile race, on the first road built exclusively for automobiles, on a property virtually unchanged from 104 years ago, would easily qualify as a state and national historic place. The property size is135’ wide and 823.47’ deep. Previously, the property owner proposed building houses on this property on substandard lots along substandard streets which was rejected at every level from the County Planning Commision, all the way up to the Court of Appeals in Albany, the highest court in New York state. They all upheld the LPRD zoning ordinance. The owner’s business name has changed, but the property size or LPRD zoning has not. Josato, LLC is now applying for ‘special district’ business rezoning to undermine the LPRD and eliminate the ‘protection against piecemeal developement on scattered parcels which would change the well-ordered character that is Levittown’s trademark’. “You cannot fight this with the argument that “We don’t want Condos”. Better if you arm yourselves with data that indicate the “We don’t NEED Condos”. Excellent point! Our declining population clearly demonstrates there is no need for high density-housing in Levittown. I agree with one statement you made: Levittown itself has secured a place in history. Preserve Levittown as originally planned and developed: A suburban community of one-family dwellings as evidenced by various declarations of restrictions which were filed in the office of the County Clerk of Nassau County. I actually agree with you that it is more important to maintain the integrity of the community than the historical significance of the site. But, what happens if the rezoning effort is rejected? What, if anything, will be done with the property? For the last three years, Nassau County has considered purchasing the property as part of the Motor Parkway Trail and working with the community on its development. Brian Schneider, Assistant to Deputy Commissioner of Public Works in Nassau County, has stated; “Department of Real Estate Planning and Development reached out to Josato, Inc. and their attorney William Cohn several times over the last three years to initiate negotiations for the purchase of the property and were rebuffed each time”. Do we know or is their a trail of who owned this large parcel over the years? Was it not supposed not to be sold to a builder/developer etc??? Was it supposed to have been preserved? Was the county/TOH supposed to keep it as park land???? When the Long Island Motor Parkway closed in 1938, this property was transferred to Nassau County. I believe the property was auctioned by the county over 20 years ago and was purchased by Josato for less than $100,000. The relative low price reflected the zoning restrictions.